The professionals at Garage Door Repair Shelton offer residential services, and fix all types of openers in Connecticut. From installations and replacements to repairs and maintenance, the company offers full local services. Up-to-date with everything new on the market in Connecticut, the technicians at Garage Door Repair Trumbull fix residential doors and openers. The company offers garage door replacement, repair, installation and maintenance. 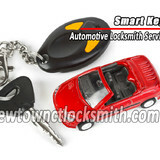 A local business that has your back at all hours of the day and night is Newtown CT Locksmith. Based in beautiful Newtown, Connecticut, we are here to provide the residential, commercial and automotive services that you need, at the time that you need them. We provide 24/7 service for the convenience of area locals, and those passing through who might be having difficulty with their car locks. We aren’t mechanics, but we can certainly provide assistance when it comes to damaged car locks and lost keys. We are the most trusted locksmith in Newtown, Connecticut, and you will fast see why upon hiring us for any task. You’ll notice that we work with reputable manufacturers, such as Ilco, Kwikset, Medeco, Kaba, Yale and ASSA. You will see that we have the ability to provide all sorts of services, from lockout help, break in repairs and lock installation to transponder key creation, transponder chips and lock rekeying. To take advantage of what we have to offer, call our team of insured and licensed experts at the time that you need our help, or schedule an appointment at a time that works for you. Choose Newtown CT Locksmith! At GGL Garage Doors, our technicians are friendly, certified professionals. We provide same-day response and all repairs are guaranteed. We only use high-quality materials that are made in the USA. We carry all popular lines of commercial grade doors: Sectional Doors, Ribbed Steel, Aluminum Full-view, Polystyrene Sandwich, Rolling Steel. We have a large selection of garage doors for both residential and commercial use, and we focus on handcrafted quality, precision and and attention to detail. All of our openers are under U.S. Consumer Product Safety Improvement Act. Our garage doors openers conform to the entrapment protection requirements of the Underwriters Laboratories (UL) standard for safety. We only use high quality garage door openers. We take pride on carrying the best brands like Genie, Craftsman, Sears, Liftmaster, Lynxs and much more. We carry different models from chain drive and belt drive. If your garage door needs servicing and for this you are looking for a Garage Door Repairs Cheshire experts then you can call one of best company located in Cheshire, Connecticut name Garage Door Repair Expert Cheshire CT as our professionals can fit any problem related with garage door in a very quick time at an affordable price. We provide commercial locksmith services, installation and changing of locks and unparalleled range of residential doors for your garage. Garage Door Installation Old Saybrook are the number one garage door repair service around! Whether your are installing a new garage door, or you need immediate assistance repairing your existing door. We operate 24/7, and provide fast, effective, and quality service. No matter how big, small, heavy, or light of a door that you have or choose, we can install it, repair it, and maintain it. The expert knowledge of all technicians at Garage Door Repair Hauppauge is the best proof that the company offers the best services in New York. It's a fast emergency repair contractor and offers top services. Middletown Garage Door Repair CT can be dubious at time. We will dependably discover an answer for your garage door issues at a reasonable cost. Being that we have chipped away at and introduced a wide range of carport entryways we comprehend what it takes to carry out the employment right the first run through. With our experience and learning, we have possessed the capacity to help numerous families and organizations in the Middletown region. Since 1981, Cadra's Garage Door Company, a family owned, family operated company, has been proud to install, repair, and maintain garage doors and garage door motors throughout Fairfield County, Connecticut. Owned and operated by Dave Cadra, the company just about does it all when it comes to garage doors. For over 30 years, our CT Garage Door Company has been supplying and installing wood, steel, vinyl, and carriage garage doors. From stock steel doors to custom carriage house doors, from chain and belt drive motors to new side mount motors, we offer all models of high-quality Clopay® doors. Additionally, we install commercial and residential garage doors, as well as LiftMaster® electric operators. Our company's ethics are best summed up with the motto, "We'll get to work on your door as if it were our own." At GGL Garage Doors, we're proud to carry the top brands for garage doors and equipment. We happily accommodate what suits you best, whether that's helping you choose the perfect garage door to install yourself or taking care of the installation from start to finish. Whether you're looking for a residential or commercial garage door or urgently need a repair, we have the right solution for you. Our team of skillful professionals deliver trusted performance -- and we're available 24/7, rain or shine. GGL Garage Doors is proud to carry the best of garage doors and equipment. From C.H.I., Clopay, LiftMaster, Genie and more. We're committed to excellence in service, and with over 20 years of experience, we give the best results for your home. We have a large depot selection of garage doors for both residential and commercial use, and we focus on handcrafted quality, precision and and attention to detail. If you are seeking someone who can solve all your garage door related woes in Farmingville then you should be happy to know that you have found us. No we are not boasting, we are just telling you that our team is capable of solving any issue related to a garage door be it a noisy motor, wrecked spring, cables, or installation of new doors or a new section of door. 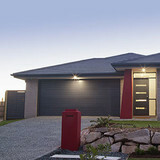 We offer all these services at very cheap rates so that people who are not having much money to spare can also get a long lasting solution to any garage door problem they are dealing with. If you hire us for the long run, not only will we offer great services but we will also offer you an appropriate discount. So, it’s a win-win situation. You get rid of the garage door related issues and we get a loyal customer. After all, loyal customers are what have helped us to gain and maintain a great reputation in the New York City so you can be sure that we will always cherish you. What types of garage door service tasks do contractors in Water Mill, NY provide? A damaged garage door can lead to increased security risk, ruined belongings and an unpleasant exterior, so look for Water Mill, NY repair professionals who provide same-day or emergency services if the damage is extensive and poses a potential health and safety risk. Find Water Mill, NY garage door repair professionals on Houzz. Narrow your search for garage door repair professionals by selecting the nearest city or zip code. Look at portfolio and product photos, and read reviews to find the best garage door contractors in Water Mill, NY for your home.